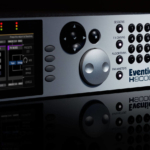 The Eventide H9000 continues Eventide’s unbroken tradition of delivering industry-leading signal processing power to the pro audio community. The culmination of a multi-year development cycle, the H9000 features 8x the processing power of the H8000 and a huge array of I/O options, as well as network capability. The multichannel processing power of the H9000 makes it a suitable platform for surround sound and for processing several tracks of audio simultaneously. 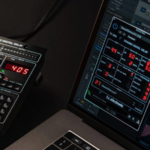 In addition, the H9000 introduces the concept of FX Chains which allows users to connect any set of four effects with flexible routing. FX Chains can be created to act as a voice channel, a guitar ‘pedal board,’ a modular synth with effects, etc. The H9000’s remote control application, emote, is available for users working ‘in the box’ or over an audio network. A version of emote, with limited functionality, is currently available as a stand-alone application for Mac and as a plug-in for ProTools, AU and VST. The full-featured version, set for delivery in early 2019, will also run on a Windows PC.